Our Silver Collection Hungarian Goose Down duvets are filled with 90 percent of the plumpest, softest Hungarian goose down clusters for the perfect nights sleep. Naturally soft and indulgent, the filling is encased in a beautifully patterned cover for the final touch of elegance. FABRIC: Cotton dobby with elegant design. FILLING: 90 percent premium Hungarian Goose Down, combined with 10 percent ultra fine Hungarian Goose Feather. All our natural fillings in our Emporium ranges are Downpass-certified. FINISH: Beautiful silver piped piped edges add extra elegance and durability. Finished with a premium corner sash. Invisible stitching / pocket construction for even filling distribution. 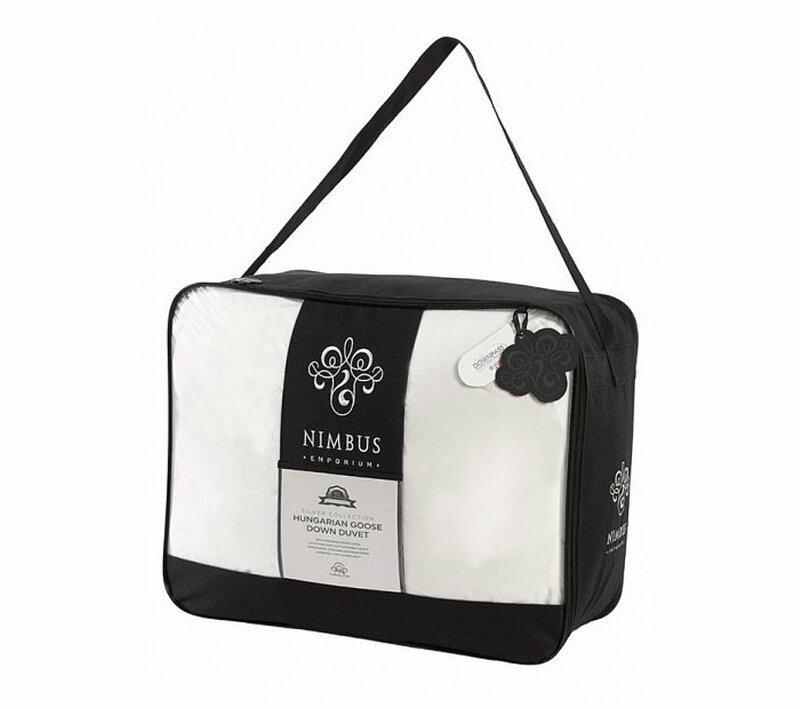 I would like more information about Silver Collection Hungarian Goose Down Duvet by Nimbus.